They know that their window of opportunity is rapidly closing. The scheme to begin the final world war is now in play in Syria. Soon Satan’s Sinai-Gog Sanhedrin will anoint their mere man Moshiach to be the false king of the jews and Global Gog of Magog, their proselytes. The Messiah is “standing at the doorway” and it is up to each one of us to usher in his arrival, a leading spiritual leader of the Jewish nation was quoted as saying. Rabbi Chizkiyahu Mishkovsky, the spiritual adviser for several distinguished yeshivot (religious learning centers) in Israel, told a gathering at a Lev L’Achim event in Bnei Brak earlier this week that, speaking in the name of Rabbi Chaim Kanievsky, the arrival of the Messiah is close. (KJV)John 5:43 I am come in my Father’s name, and ye receive me not: if another shall come in his own name, him ye will receive. Rabbi Mishkovsky’s statement, recorded and posted on YouTube, attracted a great deal of attention since Rabbi Kanievsky is one of the leading figures in Haredi Jewish society today. The announcement was well received by those at the gathering. Rabbi Mishkovsky also revealed that Rabbi Kanievsky also gave him a startling mission. He was told in no uncertain terms to begin to announce to all of Israel the imminent arrival of the Messiah. The latest revelation is consistent with various statements made by the spiritual leader lately. 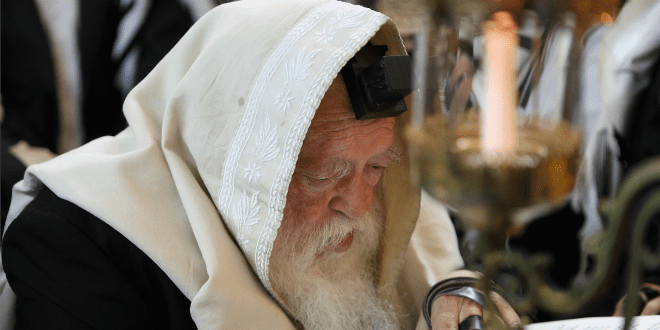 Recently, Rabbi Kanievsky related a teaching in the Talmud, a central rabbinical text in Judaism, that explicitly states that the Messiah will come the year following a shmittah year. The rabbi hinted that this year was ripe for the arrival of the Messiah upon the conclusion of the shmittah year one month ago. ← Give Us A King, But Not King Jesus !